"Two new titles that are sure winners." See some of the book builds in action: a machine that draws sine waves, a mechanism that rotates while moving, and a drawing arm. Download a parts list here. 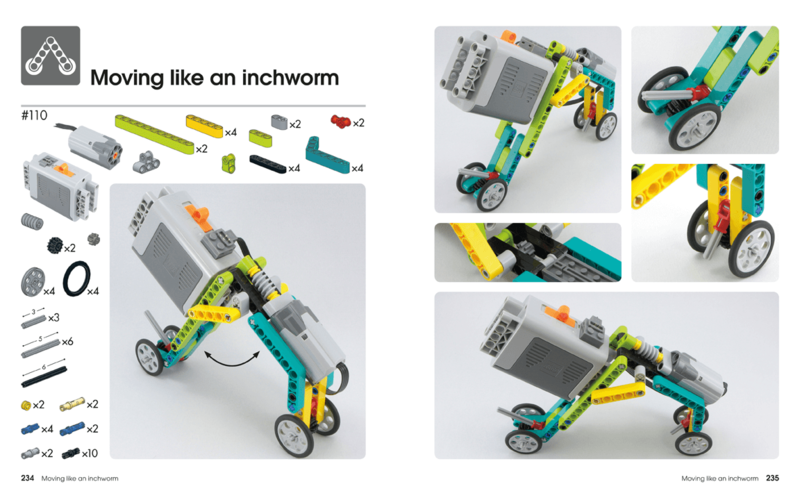 The first volume of The LEGO Power Functions Idea Book, Machines and Mechanisms, showcases small projects to build with LEGO Technic gears, motors, gadgets, and other moving elements. You’ll find hundreds of clever, buildable mechanisms, each one demonstrating a key building technique or mechanical principle. You’ll learn to build sliding doors, grasping claws, rack-and-pinion mechanisms, and ball-shooting devices of every sort! 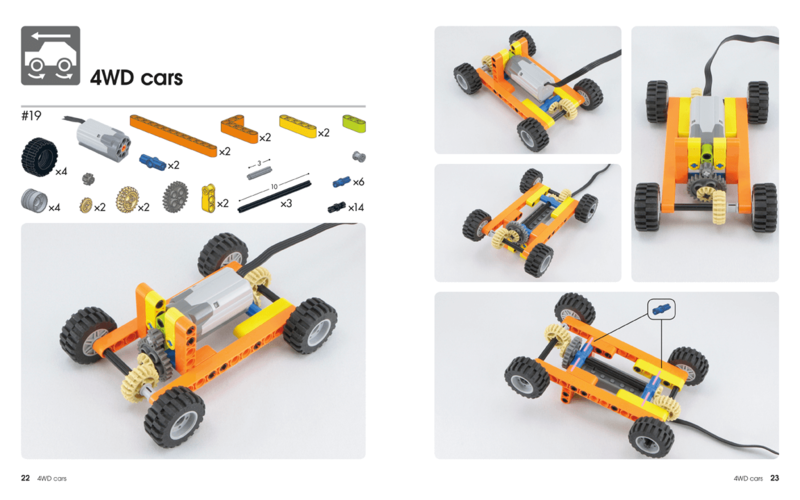 The second volume of The LEGO Power Functions Idea Book, Cars and Contraptions, showcases small projects to build with LEGO Technic gears, motors, gadgets, and other moving elements. 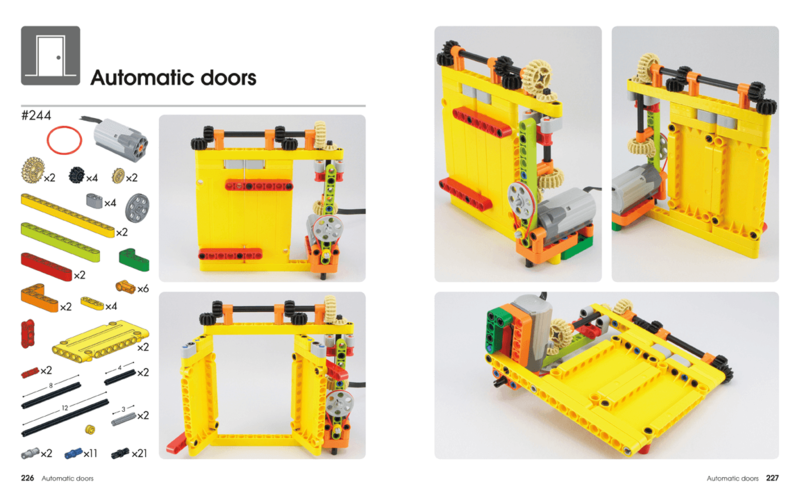 You’ll find hundreds of clever, buildable mechanisms, each one demonstrating a key building technique or mechanical principle. You’ll learn to build four-wheel drive cars, adorable walking ‘bots, steerable tanks, robotic inchworms, and cars that can follow the edge of a table! 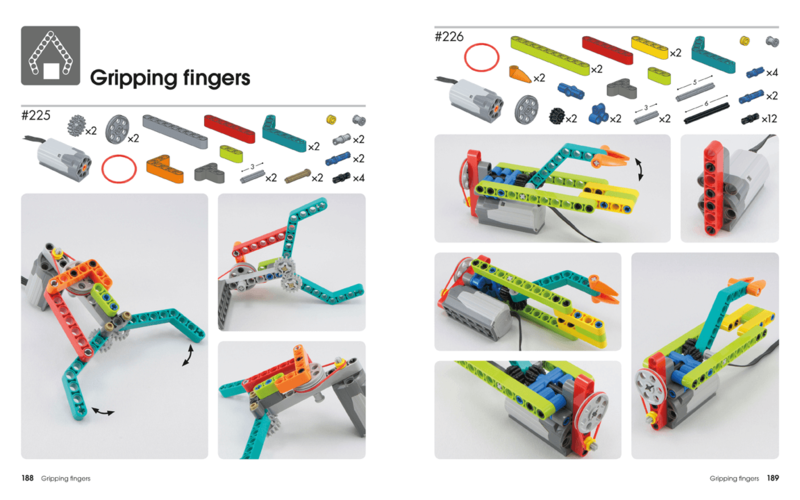 Each model includes a list of required parts and colorful photographs that guide you through the build without the need for step-by-step instructions. As you build, you’ll explore the principles of simple machines, gear systems, power translation, and more.